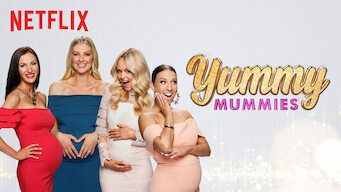 How to watch Yummy Mummies: Season 1 (2018) on Netflix Bangladesh! Yes, Yummy Mummies: Season 1 is now available on Bangladeshi Netflix. It arrived for online streaming on January 18, 2019. We'll keep checking Netflix Bangladesh for Yummy Mummies: Season 1, and this page will be updated with any changes. It's drama Down Under when expectant mothers with model good looks and lavish lifestyles pull out all the stops to prepare for their new arrivals. They're fabulously rich, stunningly beautiful -- and very pregnant. Meet some of Australia's most exclusive mums-to-be. Season 1 of Yummy Mummies has 10 episodes. Because different Netflix countries have different availability for episodes, you'll need to check the episode listing below to see which are available in Bangladesh. After seeing the Melbourne Yum Mums' Instagram feed, Maria invites them to her baby shower in Adelaide -- a lavish affair with a luxury theme. The Melbourne mums arrive safely at Maria's, where she shows off her designer baby gear and introduces the girls to her mother, Margherita. It's the day of Maria's baby shower, and the mummy-to-be shows up in a horse-drawn carriage. Back in Melbourne, the mums attend a birthing class. Carlos and Maria go to the Gold Coast for a Versace-themed babymoon. 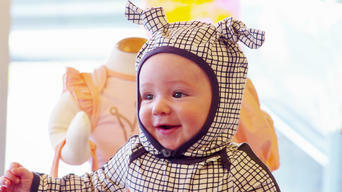 Lorinska faces her fears of breastfeeding, and Jane shops for a larger car. Lorinska's baby shower is dripping with drama when Maria and Margherita show up and don't like what they see. Rachel calls the girls with big news. Jane and Lorinska visit Rachel at the hospital to meet baby Harvey. Maria's in for a long night when she starts having contractions. Maria and Carlos bring Valentina home, and Rachel hosts her first mums' gathering post-baby. Lorinska's overdue -- and she's over it. Margherita helps Maria choose a nanny, and Carlos gets a new tattoo. 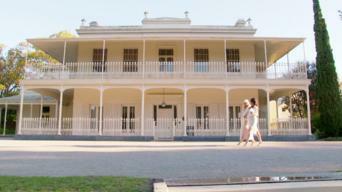 Jane and Rachel attend Lorinska's "Sip and See" to take a peek at Lady Penelope. Lorinska and Rachel prep for their babies' first casting call -- and Maria wants in on the action. Margherita throws a blowout birthday bash. Ready or not, Jane's baby is coming. Back in Brisbane, the claws come out over lunch while Maria and the mums await the casting results.